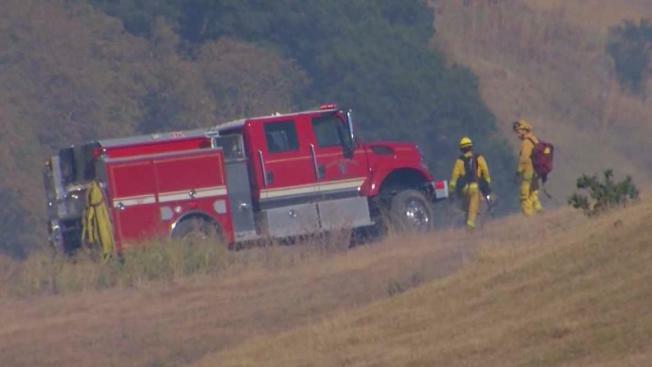 A fast-moving brush fire in Rodeo on Saturday has scorched at least 370 acres of dried grass and burned its way close an oil refinery, according to Cal Fire. The wind-aided flames, which ignited just before 3 p.m., have charred a hillside and ravine next to Interstate 80 near Cummings Skyway, Cal Fire said. No homes are threatened, and firefighters were able to halt the flames from reaching the nearby Phillips 66 refinery. The blaze is 75 percent contained as of Saturday night, and crews will remain on scene overnight in order to reach full containment and battle any hot spots. 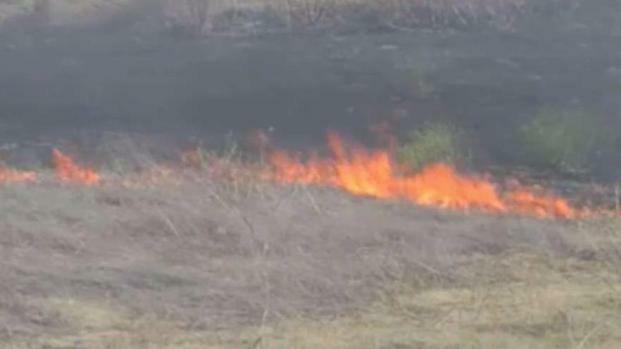 A fire with the potential to burn 500 acres is scorching dried grass in Rodeo Saturday afternoon, according to Cal Fire. Chuck Coppola reports. Numerous fire crews on the ground and in the air have battled the blaze.